Gaurav is a wine connoisseur. Gaurav is the CEO of Adani Finserve Pvt. 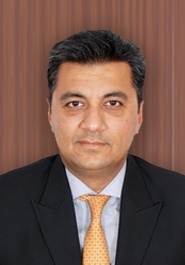 Ltd. With over 20 years of experience in financial services and Investment banking domain, Gaurav has advised Indian and International clients on domestic and cross-border Mergers & Acquisitions, Private equity, capital markets, fixed income and principal investments. Gaurav is a qualified Chartered Accountant from the Institute of Chartered Accountants of India.